Nagoya, Japan – What to do proteins and Kevlar have in common? Both feature long chain molecules that are strung together by amide bonds. These strong chemical bonds are also common to many other naturally occurring molecules as well as man-made pharmaceuticals and plastics. Although amide bonds can give great strength to plastics, when it comes to their recycling at a later point, the difficultly of breaking these bonds usually prevents recovery of useful products. 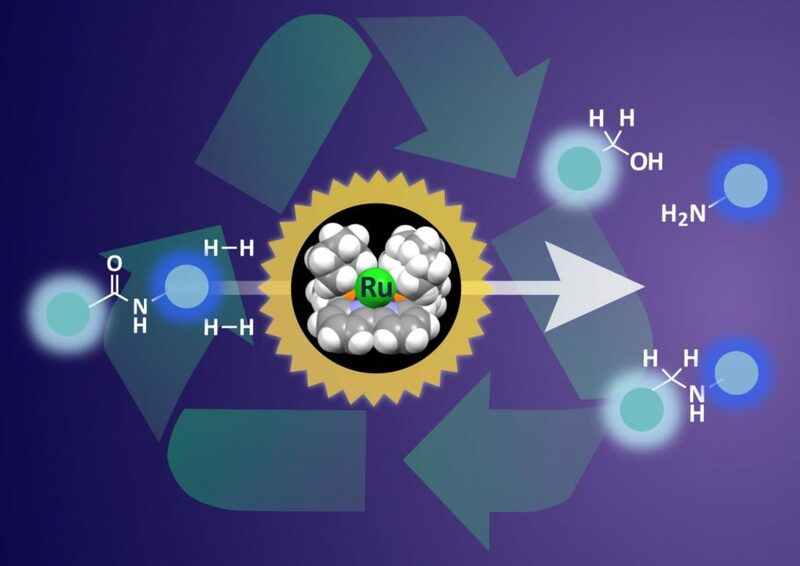 Catalysts are widely used in chemistry to help speed up reactions, but breaking the kinds of amide bonds in plastics, such as nylon, and other materials requires harsh conditions and large amounts of energy.